Fiona McDonald was employed full-time at Relationships Western Australia from 2001 to 2016 as an accredited relationship and marriage educator. She served as the Senior Manager of Education Services and Professional Training Development and now works part-time for the organization as a facilitator and trainer. Fiona has had extensive experience training facilitators and running educational groups covering such topic areas as: communication and conflict resolution, assertiveness, relationship development, raising self-esteem, and parenting of children of all ages. She served for four years as President of the Marriage and Relationship Educators Association of Australia. 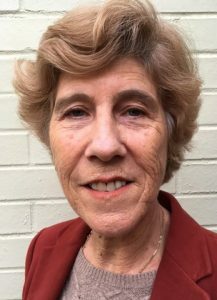 In her personal life, Fiona serves as a Bahá’í Marriage celebrant (oversees legalities of Bahá’í marriages in Australia). She has also served on the National Spiritual Assembly of the Bahá’ís of Australia for over 25 years. Fiona has been married to Keith for over 40 years and has 4 grown children and 7 grandchildren. Fiona and Keith live in Perth, Australia.